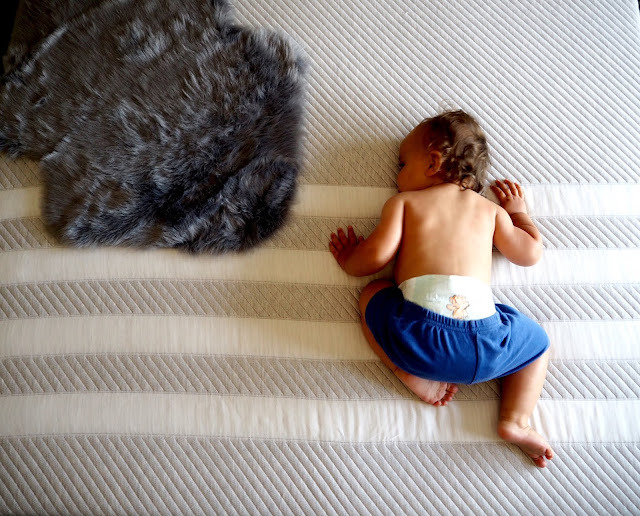 It’s late but it’s here... Hello Blogmas Day 16! Today is the first day I’ve slacked and not had a post up at 8am however, I’m writing this and then writing a few more to make sure that doesn’t happen again... So, here we go. 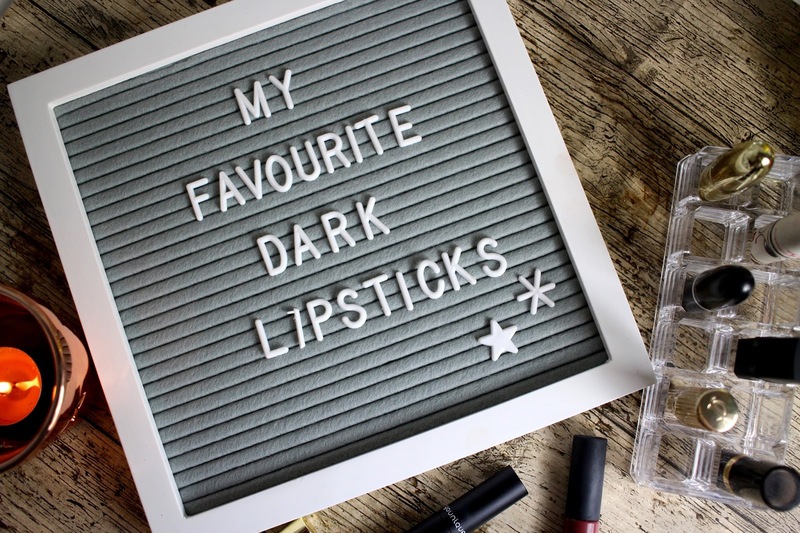 I love a Dark lipstick, I wear them all year round! 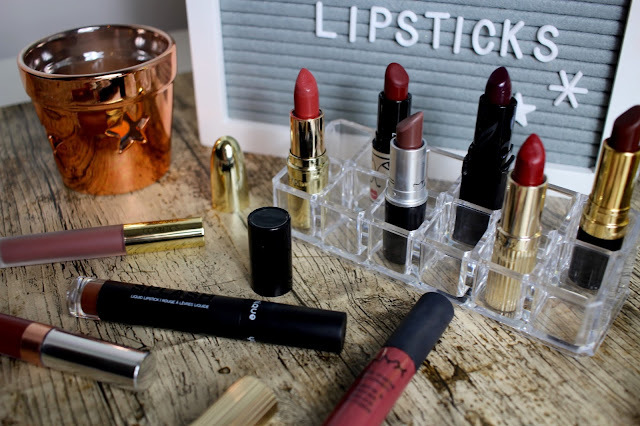 None of this ‘Autumn/Winter makeup’ saving, oh no no no, I have over 60 lipsticks, do you think I’m not going to wear them all year round?! My favourites definitely are the darker ones - I’m talking plums, reds, burgundies... Give them all to me! I’ve rounded up some of my all time favourites that I’ve been wearing this year in hope you may find one you love too! 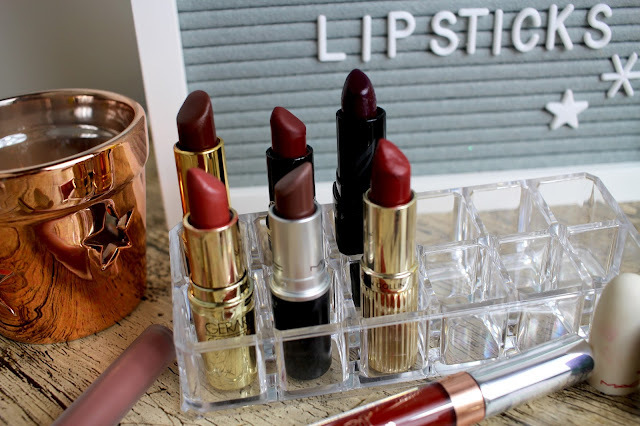 I’m a bit of a whore when it comes to lipsticks - I don’t stick to one brand however I do love a MAC lipstick for the originality but, I’ve got so many favourites from so many different brands that I just can’t stay true to one. I love that Liquid lipsticks have really taken off this year and my collection is still growing, although I can’t actually fit anymore lipsticks into the top drawer of my Alex stack, I think I’m going to have to get rid of some buy more storage! I bought this last year as a birthday treat in a Beauty Bay haul during the sales. I love the colour - its a greyish brown that dries a lot lighter than it goes on. Its quite drying but it literally lasts all day! Its a really easy to apply lipstick too with an applicator being a flat, small nib which you can use to perfectly define and fill your lips. This is a love to hate product for me... I love the colour but the formulation isn’t so great. I find it the most drying formulation out of all of my lipsticks but I really do love the colour. The only thing is that if you knock it when applying - it’s really hard to remove without leaving marks around your lips! 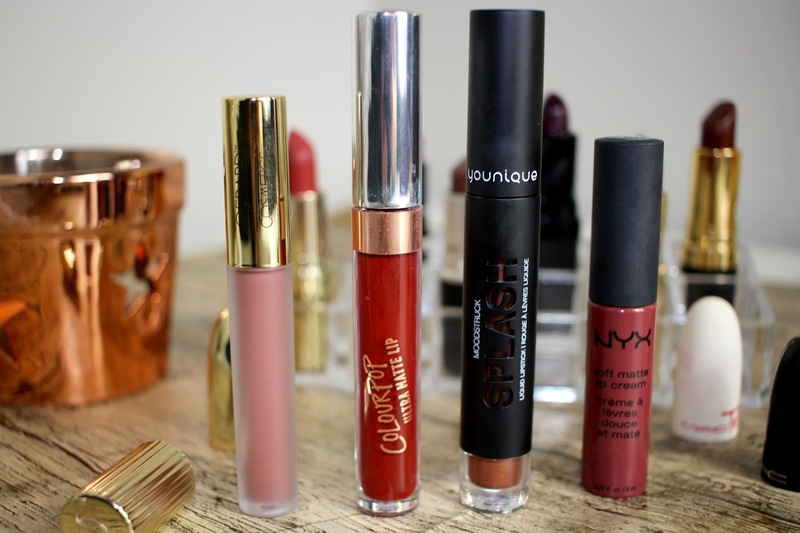 Probably one of the most underrated brands and lipsticks used. 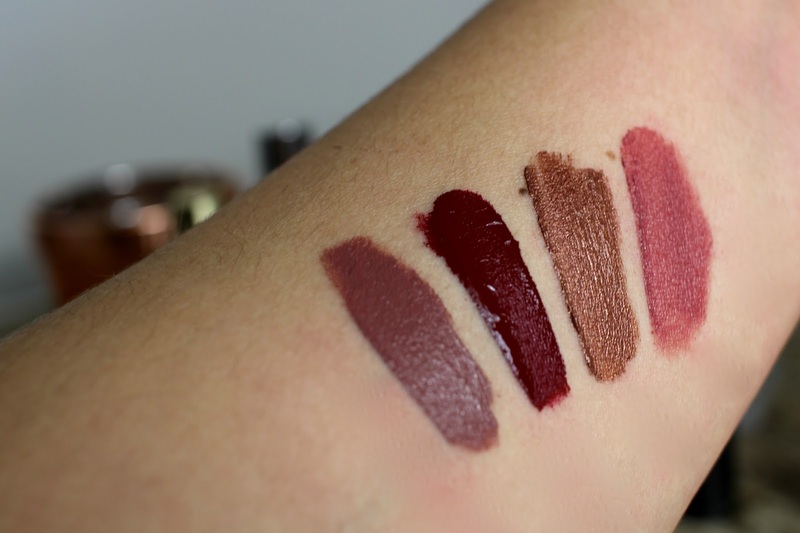 I love the formulation of these splash lipsticks - they’re so creamy but they dry and last most of the day. 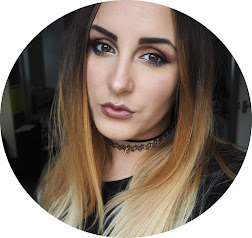 This is one of the newest additions to the collection, it’s a metallic brown colour - gorgeous for a natural(ish) look or for something a little different than your usual browns or deep reds. 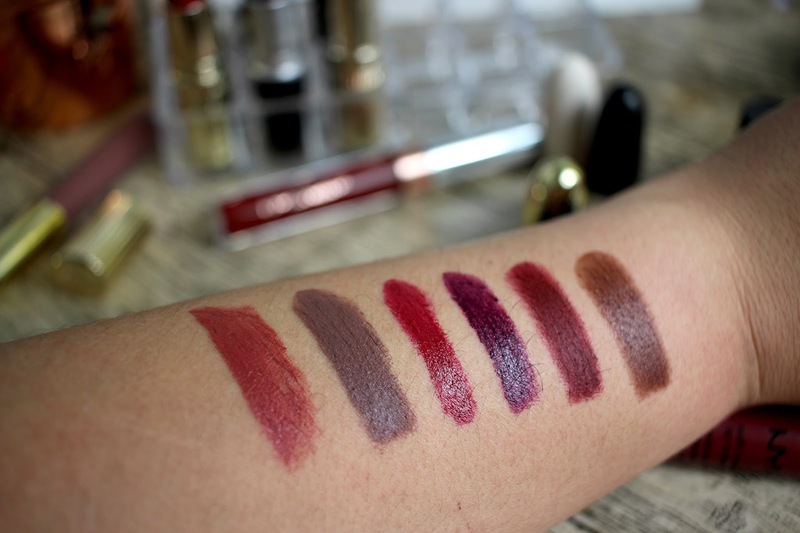 NYX matte lip creams are probably one of the go-to products for every ‘blogger’ and they really are great. I just find that some of the colours seem to have a different formulation to the rest but this one is perfect. It’s great to apply over a lipstick too just to add a little extra and make it matte! There’s a mixture of formulations in here but most are matte, I just find with the darker, deeper colours, a matte finish helps to set the pigment and they don’t move around too much. There’s nothing worse than getting dark lipstick all over your teeth or even worse, on your clothes! I hope you have seen something you like - some items aren't available now but I’m sure you can find alternatives of the other brands too! Emma Louise. 28. Mum of 2; Millie and Mylo. Girlfriend to Adam. East Midlands based and PR Friendly. Copyright © Not Your Average. Blog Design by KayLuxeDesign.